Nowadays nearly every country plays more international soccer matches than, let’s say, thirty years ago. Perhaps more than twice as much. So it would be normal if the top goal scorer of each country would be a still active, or a recently retired player. But that’s not always the case. Six European soccer nations have a number one goal scorer, that played his last soccer match more than fifty years ago. Here they are, listed from the old to the ancient, with a special Scandinavian flavor. 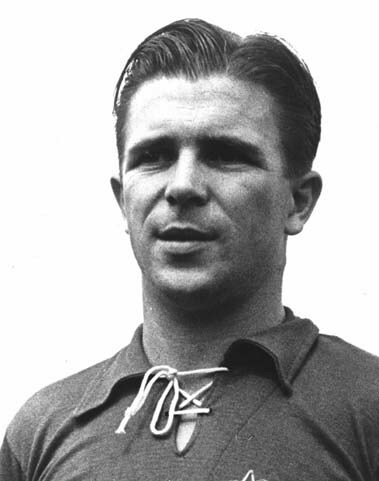 Ferenc Puskas (1927-2006) still occupies second place (behind Iranian Ali Daei with 107 goals for his country), in the alltime goal scorers list for international matches. He was a goalscoring machine unlike any other, even though he was not a centre forward. The Galloping Major from the Mighty Magyars of the fourties and fifties put himself on the scoring sheet in 52 of his 85 matches for Hungary, modestly scoring just one or two goals most of the time. From 1948 until 1962, Yugoslavian soccer was thriving. They won silver at the Olympics in 1948, 1952 and 1956, and finally won gold in 1960. They performed well at the World Cups and reached the final of the first European Championship. So it is no surprise that Yugoslavia’s/Serbian alltime top goal scorer is from this period, Stjepan Bobek (1923-2010). The Partizan Belgrade-forward played 63 international matches between 1946 and 1956, scoring a total of 38 goals, two more than the star from the thirties, Blagoje Marjanovic. Biggest thread in the near future: After Bobek, Milan Galic (37 goals between 1959 and 1965) and Savo Milosevic (37 goals between 1994 and 2006) came very close. At the moment it doesn’t seem likely that, for instance Zoran Tosic (26 years and 8 goals), can beat Bobek’s record. Between the two World Wars, Belgium perhaps had it’s best moments. Up until Brazil 2014, of course. They took the Olympic title in 1920 and took part in all three World Cups. 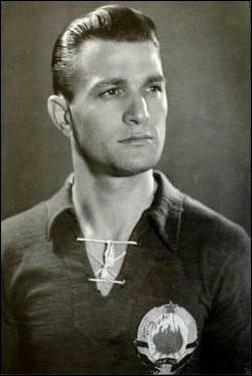 Bernard Voorhoof (1910-1974) was the leading goal scorer for Belgium in the thirties. His 30 goals seems in line with other performances in this list, but Voorhoof did fail to score a single hattrick during his international career. Biggest thread in the near future: Paul van Himst (1960-1972) also got 30 goals, after that the present national coach Marc Wilmots came close with 28. For the future, who knows what magic Kevin De Bruyne (21 years old, 3 goals), Eden Hazard (22 years, 5 goals), Christian Benteke (22 years, 6 goals) or Romulu Lukaku (20 years, 2 goals) can bring about? Until the thirties, Norway had little to show for in international soccer. Heavy defeats (see ‘Opponents’ of the number one and two of this list below) were quite common. But then it slowly got better. 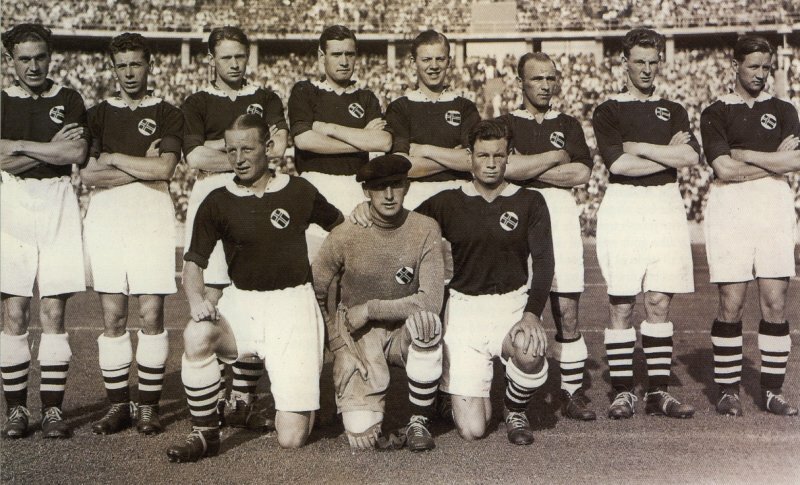 Norway won the 1932 Scandinavian championship and qualified for the 1938 World Cup. Two years before, they managed to beat Germany and even clinched the bronze medal. Striker Jørgen Juve (1906-1983) was instrumental in most of these major and minor triumphs, scoring 30 times in 42 matches. The Norwegian FA holds on to 33 goals in 45 matches, but those three extra games were against the amateur sides of Hungary (twice) and Austria. So, internationally they don’t count. Still, 30 goals gives Juve a comfortable lead at the top of the list. Amazingly, he played about half of his international matches as a defender. For instance, Juve didn’t score a single goal in his last eightteen games for Norway, as he was in charge of Norway's defense instead. Biggest thread in the near future: There seems not really anyone in sight. John Carew came somewhat close, with 24 goals. But after him, you could hardly think that Tarik Elyounoussi (25 years, 7 goals) would add 24 or more goals to his total. During the twenties (and early thirties), Sweden was doing alright for themselves. They didn't win a lot of trophies, but won far more matches than they lost. And scored lots of goals, with skilled forwards like Per Kaufeldt, Albin Dahl, Knut Kroon and Tore Keller, with Sven Rydell (1905-1975) probably the best of them all. His record shows for itself, 49 goals in 43 matches. Even AC Milan legend Gunnar Nordahl managed only 42 (albeit in just 33 matches). And what would have happened if Rydell hadn’t been forced to quit the game, at the age of 28? Biggest thread in the near future: There is one serious thread: Zlatan Ibrahimovic. In fact, everybody expects him to take the Swedish record to 50 goals and beyond. In 2012 Ibrahimovic scored eleven international goals, this year (as of September 7) he got another five and at 44, he is just five goals behind Rydell. On the continent, Denmark probably was the best soccer nation of all up to 1920. Of course, to prove it, they won two silver medals at the Olympic Games in 1908 and 1912. While already having such great strikers as Sophus Nielsen and Anton Olsen, Poul ‘Tist’ (1891-1962) Nielsen was even more prolific. 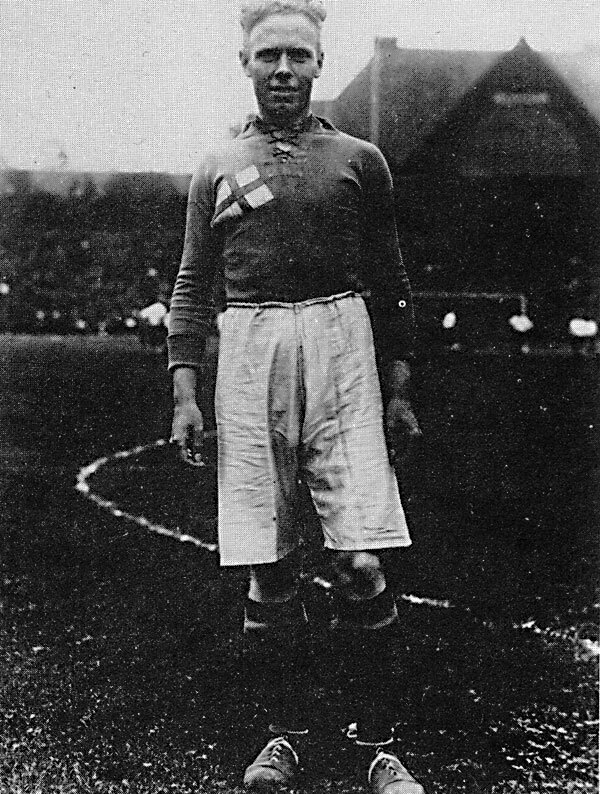 When he made his debut for Denmark in 1910, he was the youngest ever. And after two matches to settle in, he started scoring. In 1913 he was the world’s leading international goal scorer, with eleven goals. Two years later he won again, this time with 5 goals. 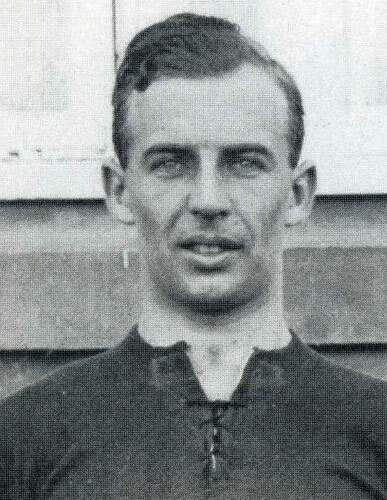 In 1914 (4 goals), 1916 (6), 1917 (5) and 1919 (7) he came second. *Odd statistic: every time Nielsen scored four, five or six times, it was during the month of October. Biggest thread in the near future: Jon Dahl Tomasson equaled Nielsen’s record, but failed to score another one. From todays squad, Niklas Bendtner (22 goals) is still only 25 years old, but adding another 31 seems way too much to ask for. 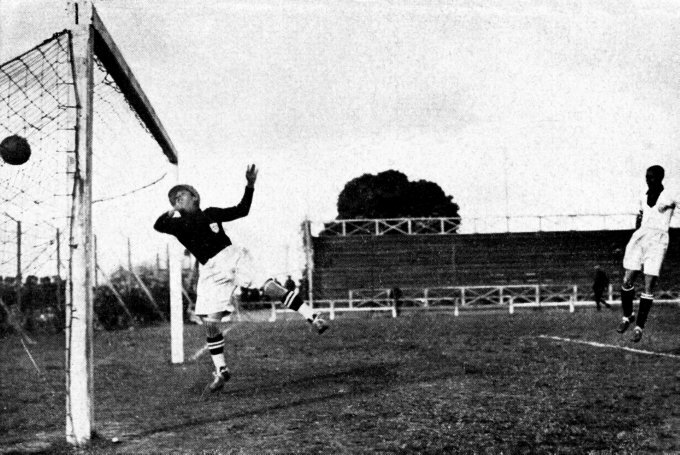 · * Antonin Puc is the all-time top scorer of Czechoslovakia with 34 goals until 1938. I didn't consider him, because the Football Association of the Czech Republic has integrated the statistics from Czechoslovakia into their history since 1992. And as Jan Koller has scored 55 international goals (and Milan Baros 41), Puc isn’t the record holder. 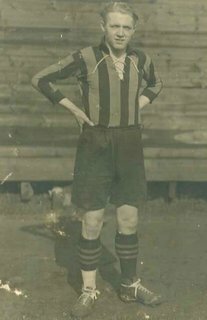 · * The Luxembourg FA has Léon Mart (active for Luxembourg from 1939 until 1945) as their record goal scorer. But Mart scored eleven of his sixteen goals against B-teams, and those matches are not made official by FIFA/UEFA. · * Vivian Woodward (England) has scored a total of 73 matches against countries who considered each match as a full international. Only the English FA does not, as he 30 matches (44 goals) for the English amateur team. With only 29 goals for the official professional English team, Bobby Charlton (49 goals) and seven others performed better.